JFS’s Tikkun Olam (Repairing the World) Series continues. 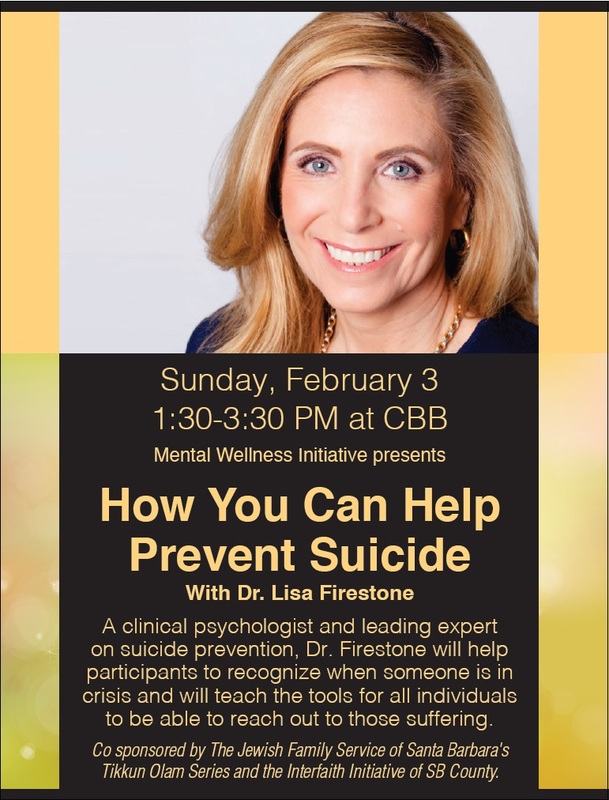 Community Event CoSponsored with CBB’s Mental Wellness Initiative & Interfaith Initiative. Please join us for this important event. Congregation B’nai Brith 1000 San Antonio Creek Rd. Event is FREE and open to the public​.